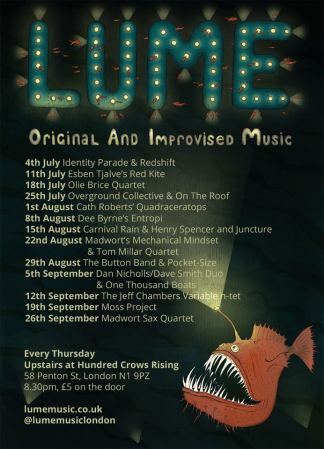 I’m really looking forward to the next Entropi gig which is next week at LUME. I have written a few new tunes and will be playing with two special guests: Olie Brice on double bass and Nick Walters on trumpet. Also the amazing Rebecca Nash on keys and Matt Fisher on drums.